Now in the home stretch of crowning a 16th champion, ABC’s two-hour live edition of American Idol significantly improved on the previous Sunday’s dismal showing. Idol drew 199,419 D-FW viewers from 7 to 9 p.m., winning the first hour outright and tying CBS’ competing NCIS: Los Angeles for the top spot from 8 to 9 p.m. But Idol easily won both hours in the advertiser-prized 18-to-49-year-old range, averaging 43,688 viewers compared to just 21,844 on Sunday, April 22nd. Those aren’t imposing numbers in either measurement, but were enough to pull Idol out of free fall. The day’s biggest hauls of 18-to-49ers went to ABC’s afternoon pair of NBA playoff games. The Cleveland Cavaliers-Indiana Pacers Game 7 of Round One scored 87,377 viewers before the opening game between the Houston Rockets and Utah Jazz dropped just slightly to 84,256 in the 18-to-49 realm. Sunday’s closing 9 p.m. prime-time hour was won by CBS’ Madam Secretary in total viewers (199,419) and Fox4’s local newscast with 18-to-49-year-olds (43,688). On Friday night, Fox4’s second/third round coverage of the NFL draft (a simulcast of the NFL Network’s presentation) not surprisingly fell off dramatically from Thursday’s first round festivities. But it still had enough juice for Fox4 to win the night from start to stop (6 to 10 p.m.) among 18-to-49-year-olds with an average of 31,206. In total viewers, the draft drew 113,954 in losing decisively from 8 to 10 p.m. to CBS’ combo of Hawaii Five-0 (170,930) and Blue Bloods (206,541). Here are Friday’s local news derby results for the second weekday of the May “sweeps” ratings period. NBC5 and TEGNA8 shared the 10 p.m. lead in total viewers while TEGNA8 won outright among 25-to-54-year-olds (main advertiser target audience for news programming). Fox4 as usual swept the 6 a.m. competitions, and NBC5 had win wins at 6 p.m. in a downsized three-way race. At 5 p.m., the Peacock ran first in total viewers while Fox4 was tops with 25-to-54-year-olds. CBS’ longest-running “reality-competition” series, Survivor, isn’t just surviving. It’s thriving. Wednesday’s Nielsens show that it led all prime-time programming in both total viewers (256,396) and advertiser-prized 18-to-49-year-olds (96,739). CBS also took the 8 p.m. hour in total viewers with Seal Team (185,175) before Fox4’s local newscast controlled the 9 to 10 p.m. slot with 213,663. The 18-to-49-year-old winners in those hours were Fox’s Star (53,050 viewers) and again, Fox4 news (56,171). Another evergreen, CBS11’s 6:30 p.m. edition of Wheel of Fortune, continues to make TEGNA8 (then locally owned by Belo) pay for foolishly coughing it up more than a decade ago because it was deemed too “old-skewing.” Wheel rolled to time slot wins in both total viewers (235,029) and with 18-to-49ers (40,568). The show that replaced Wheel on TEGNA8, Entertainment Tonight, drew less than half the audience for Wheel (15,603 viewers) in the key 18-to-49 demographic. TEGNA8 led in total viewers at 10 p.m. while Fox4 dominated among 25-to-54-year-olds (main advertiser target audience for news programming). Fox4 again cruised to twin wins at 6 a.m., where the bottom has dropped out for NBC5 in the 25-to-54-year-old demographic. Even CBS11 lately is sometimes outdrawing the Peacock while runner-up TEGNA8 drew twice as many viewers as NBC5 Wednesday in the 25-to-54 realm. 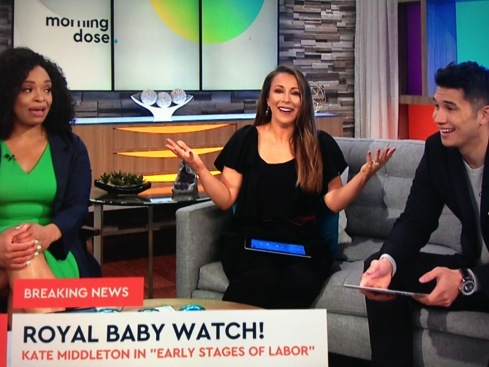 TEGNA8 is in the midst of a new promotional campaign for its early morning Daybreak, which news director Carolyn Mungo said is the “most important show we do” in a staff memo obtained by unclebarky.com. TEGNA8 had the most total viewers at 6 p.m., and Fox4 was tops with 25-to-54-year-olds. Fox4 and NBC5 tied for the most total viewers at 5 p.m., with Fox4 alone in first in the 25-to-54 demographic. D-FW viewers tuned to the first available newscast Tuesday night for the latest on the shootings of two Dallas police officers, one of whom died Wednesday morning. That would be Fox4’s 9 p.m. edition, which led all prime-time programming with a significantly larger than usual 249,274 viewers and 65,533 in the advertiser-coveted 18-to-49-year-old age range. It didn’t hurt that ABC aired a quartet of Roseanne reruns while CBS’ opted for a repeat of NCIS. New episodes of those shows generally are Tuesday’s heaviest hitters. On the other hand, Fox4’s news received next to nothing from its network’s 8:30 p.m. lead-in, a fresh episode of New Girl. It drew just 42,733 total viewers and 15,603 within the 18-to-49 realm. On Monday night, the biggest draw was NBC’s The Voice in both total viewers (227,907) and among 18-to-49ers (56,171). Monday -- TEGNA8 swept the 10 p.m. competitions in both total viewers and with 25-to-54-year-olds (main advertiser target audience for news programming). Fox4 again did likewise at 6 a.m. while NBC5 ran the table at 5 p.m. The 6 p.m. golds went to TEGNA8 in total viewers and the Peacock among 25-to-54-year-olds. Tuesday -- Chalk up yet another double grand slam for Fox4, its second within a week’s time. This used to be an extreme rarity, and still is among NBC5, TEGNA8 and CBS11. But Fox4 again went the distance with sweeps at 6 a.m. and at 5, 6 and 10 p.m.
Just over a month after opting out of her contract with Fox4, Jenny Anchondo has dawned as a new co-host of the syndicated Morning Dose, which originates from CW33 studios in Dallas. She joined incumbent co-hosts Laila Muhammad and Gary Striewski Monday on the social media-spiked program, which airs from 5 to 8 a.m. and also is carried on CW stations in Houston, Philadelphia, Miami, Washington, D.C., Portland, OR and the Quad Cities in Illinois. Anchondo joined Fox4 in October 2013 from WXIN-TV in Indianapolis. She had been anchoring the station’s weekend editions of Good Day and reporting three days a week. Her departure surprised many staffers, with Anchondo saying goodbye via an in-house email. 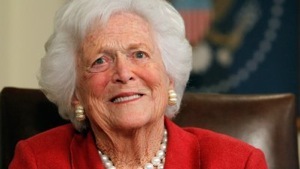 According to sources, she preferred studio anchoring and didn’t relish reporting from the field. A six-month “non-compete” clause is standard in such situations, but apparently is inoperative because Anchondo has joined a nationally syndicated TV program rather than a purely local one. Clarification is being sought from a Fox corporate spokesperson who handles all inquiries about Dallas-based Fox4. New episodes of CBS’ NCIS and ABC’s Roseanne squared off again Tuesday night, with both coming out on top. NCIS pulled in prime-time’s biggest haul of D-FW viewers with 334,739 while Roseanne ranked a runaway first with advertiser-prized 18-to-49-year-olds (109,221). That matched Roseanne’s performance from last Tuesday in the 18-to-49-year-old realm. But the show up-ticked a bit in total viewers, drawing 284,488 compared to the previous episode’s 270,649 opposite an NCIS rerun. CBS dominated from 8 to 10 p.m. in total viewers with its regular lineup of Bull (327,617) and NCIS: New Orleans (277,762). But both dramas as usual fell off with 18-to-49-year-olds, where the time slot winners were ABC’s black-ish and Splitting Up Together and Fox4’s 9 p.m. local newscast. The new Splitting Up Together looks as though it could be a keeper for next season. But another ABC freshman sitcom, Alex, Inc., likely dug a grave for itself in a do-or-die test of its ratings strength in a special slot immediately following Roseanne. The Zach Braff comedy plunged to just 56,977 total viewers and 21,844 in the 18-to-49 realm before black-ish and Splitting Up Together built ABC’s audience back up. On Monday from 7 to 9 p.m., ABC’s American Idol took a severe beating in total viewers. Staggering in with an average of 113,954 for the two hours, Idol was whipped by NBC’s two-hour edition of The Voice (Monday’s prime-time leader with 242,151), Fox’s 8 p.m. episode of The Resident and CBS’ comedy quartet of Kevin Can Wait, Man with a Plan, Superior Donuts and even Living Biblically. In the 18-to-49-year-old demographic, Idol ran behind The Voice and The Resident. Monday’s 9 p.m. hour went to CBS’ Scorpion in total viewers and NBC’s Good Girls among 18-to-49ers. Here are Monday’s and Tuesday’s local news derby results. Monday -- TEGNA8 and CBS11 shared the total viewers lead at 10 p.m. while TEGNA8 was alone on top with 25-to-54-year-olds (main advertiser target audience for news programming). Fox4 won at 6 a.m. in both ratings measurements and also ran first at 5 and 6 p.m. among 25-to-54-year-olds. 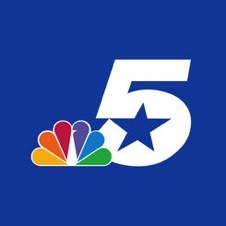 The station tied NBC5 for the most total viewers at 5 p.m., and TEGNA8 won outright in this measurement at 6 p.m.
Tuesday -- CBS11 had its best day in a long while, ranking first in total viewers at 5,6 and 10 p.m.
Fox4 otherwise claimed all the spoils, sweeping the 6 a.m. competitions as usual and adding 5, 6 and 10 p.m. wins with 25-to-54-year-olds. Dallasite Jordan Spieth’s improbable comeback in Sunday’s final round of The Masters put golf in the ratings fairway. Trailing by nine strokes, Spieth rallied all the way back to a tie in the late going before eventually losing by two strokes to fellow Texan Patrick Reed. Meanwhile, The Masters built to a peak D-FW audience of 420,204 viewers between 5:30 and 5:45 p.m on CBS. Overall, Sunday’s finale averaged 299,128 total viewers and 87,377 in the advertiser-coveted 18-to-49-year-old age range. Both were Sunday highs. In the prime-time numbers, CBS led from start to stop in total viewers with its regular lineup of 60 Minutes, Instinct, NCIS: Los Angeles and Madam Secretary. 60 Minutes also won the 6 p.m. hour among 18-to-49-year-olds before ABC’s American Idol ranked first from 7 to 9 p.m. and NBC’s Timeless took the 9 p.m. hour. Friday’s nighttime Nielsens were paced by CBS’ 9 p.m. episode of Blue Bloods in total viewers (299,128) and Fox’s 7 p.m. hour of Masterchef Junior in the 18-to-49 realm (43,688 viewers). On Thursday night, CBS’ The Big Bang Theory was tops in total viewers (348,983) while ABC’s Grey’s Anatomy dominated in the 18-to-49 demographic (134,186 viewers). Thursday -- TEGNA8 drew the most total viewers at 10 p.m. while Fox4 won among 25-to-54-year-olds (main advertiser target audience for news programming). Fox4 also swept the 6 a.m. and 6 p.m. proceedings and added a 5 p.m. gold in the 25-to-54 measurement. NBC5 broke through with the most total viewers at 5 p.m.
Friday -- TEGNA8 ran the table at 10 p.m. and Fox4 did likewise at 6 a.m. and 6 p.m. The 5 p.m. wins went to NBC5 in total viewers and Fox4 with 25-to-54-year-olds. It’s not 100 percent officially formalized yet, but nonetheless is a done deal. Dallas-based KRLD radio (1080 AM) has a new partnership with Fort Worth-based NBC5. The deal was struck shortly after Entercom Communications Corp. merged with CBS Radio Inc. and increased its holdings from 127 to 235 stations. The deal was closed in November. 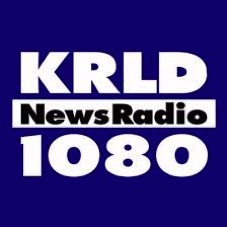 KRLD long had been wedded in D-FW to CBS11, but that’s come to an end. The new partnership is still in its formative stages, but NBC5 meteorologists already have had a presence on KRLD. NBC Universal-owned Telemundo39 and Entercom’s newly acquired Spanish language radio station, KMVK (107.5 FM), likewise will have a content-sharing arrangement. Fox’s Empire and Fox4’s 9 p.m. local newscast paced Wednesday’s prime-time ratings. The news ranked No. 1 in total viewers for the entire night with 235,029. And the 7 p.m. Empire episode was Wednesday’s top draw among advertiser-prized 18-to-49-year-olds with 68,653. Fox’s 8 p.m. hour of Star won its time slot in total viewers with 178,053. But ABC’s competing comedy combo of Modern Family and American Housewife ran first among 18-to-49ers with respective totals of 56,171 and 53,050 viewers. ABC’s second episode of Zach Braff’s Alex, Inc. struggled at 7:30 p.m., ranking last among the Big Four broadcast networks in total viewers while beating only the second half of NBC’s fading The Blacklist in the 18-to-49 realm. Fox4 came within a speck of an outright rare double grand slam in the 6 a.m. and 5, 6 and 10 p.m. competitions. The station had twin wins at 6 a.m., 6 p.m. and 10 p.m. in total viewers and 25-to-54-year-olds (main advertiser target audience for news programming). Fox4 also won at 5 p.m. with 25-to-54-year-olds, but shared the lead in total viewers at that hour with NBC5. Both stations had 124,637 viewers. For good measure, Fox4’s 7 to 9 a.m. portion of Good Day also again trounced the three competing network morning shows in both ratings barometers. A blockbuster in its first week, ABC’s Roseanne revival fell off significantly in its second time around the block. Leading off at 7 p.m. Tuesday, Roseanne drew 292,006 D-FW viewers and 118,583 in the advertiser-coveted 18-to-49-year-olds demographic. The previous Tuesday’s opening pair of episodes pulled in 441,570 total viewers and 196,598 in the 18-to-49 age range. The drop of nearly 150,000 total viewers put Roseanne behind CBS’ competing NCIS, which ranked first from 7 to 7:30 p.m. with 327,618 and also won the full hour with an average of 334,739. Roseanne still impressively drew the night’s biggest haul of 18-to-49-year-olds, though, more than doubling up on the 56,171 for NBC’s The Voice and 49,930 for NCIS. ABC’s second episode of Splitting Up Together, which aired at 8:30 p.m., improved on its lead-in from black-ish by finishing second in its time slot in total viewers (135,320) and first with 18-to-49ers (62,412). CBS’ Bull and NCIS: New Orleans were the 8 to 10 p.m. winners in total viewers while ABC’s new For the People won the 9 p.m. hour among 18-to-49-year-olds. CBS11 won in total viewers at 10 p.m., but NBC5 was tops with 25-to-54-year-olds (main advertiser target audience for news programming). Fox4 cruised to another pair of runaway wins at 6 a.m. and also had the most 25-to-54-year-olds at 5 and 6 p.m.
Fox4 and NBC5 tied for the most total viewers at 5 p.m.; TEGNA8 and Fox4 shared first place in that measurement at 6 p.m.